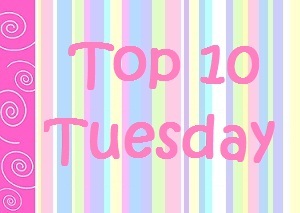 Top Ten Authors I Wish Would Write Another Book - My Life Is A Fairytale That Will Never End. Because she is my favourite author EVER and I will always love her books! Good God, I LOVE this woman's writing! I could read her book forever! Beautiful Disaster was amazing! I would like to read more of her books. Divergent was an amazing read! Her writing is just, oh I want more! The Sky is Everywhere was aaaaaaaaaa so so good. The poems inside this book inspired me to write them myself (well, I haven't yet, but I definitely will! - When I'll learn how to write them). The Hex Hall series is so so good! I really wish she will write another series after Spell Bound! After finishing Twilight I wanted so much that Stephenie would write another story of Bella and Edward and the final battle with the Vulturi after 2000 years! I wanted to know which guy Renesmee would choose. Badly. Thank you for visiting my blog today! I love that I'm not the only one to include Stephanie Perkins! And I also agree with you on Stephenie Meyer. I'd love to hear more about Reneesme! There's so much more she could write about! Oh my goodness, this is an EPIC list! Lots of great authors made your list. I haven't read anything by Armentrout but I keep hearing great things about her books. I picked up a copy of Half-Blood for Christmas. Now all I need to do is read it. Great list! Great list! I'm really looking forward to Julie Kagawa's new series, hopefully it's as good as her Iron Fey series! I definitely agree with you when it comes to Veronica Roth, Jennifer Armentrout and Richelle Mead. Although my list would include Rachel Vincent as well. But I don't think I could think of 10.